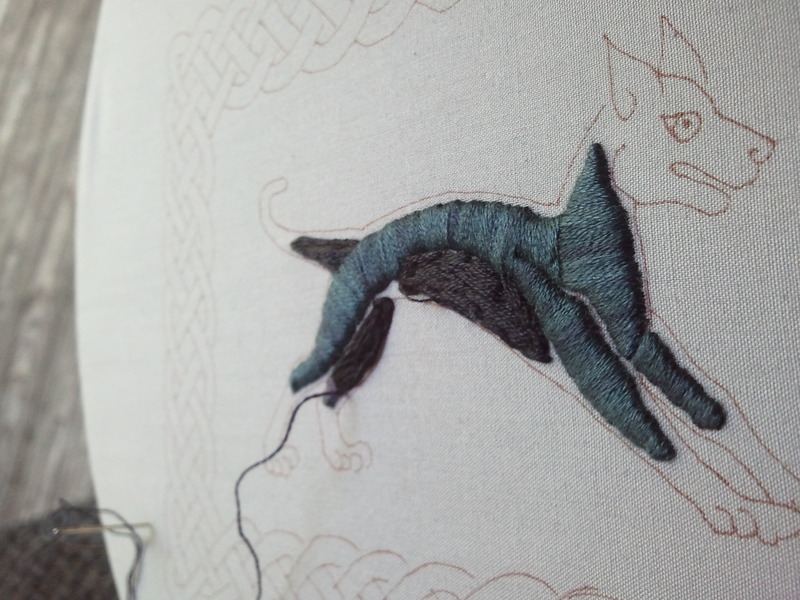 I ended up really liking the way the split stitch padding follows the curvature of the dog’s body. Had I done it with fewer strands (and somewhat more neatly,) this would be a good way to indicate the direction of animal fur. But I’m also pleased with the way the satin stitch is coming along. I love this thread. It’s Caron Waterlilies in Dark Shadows. The sheen of the silk picks up the shifting grays and blue-blacks. I’m always drawn to variegated threads, but sometimes the color shifts so much that colorways can be hard to use. This is subtle enough for me, and working with silk is always a pleasure. I think satin stitch shows off the thread well, but I’m going to bear split stitch in mind for the future for that very reason. 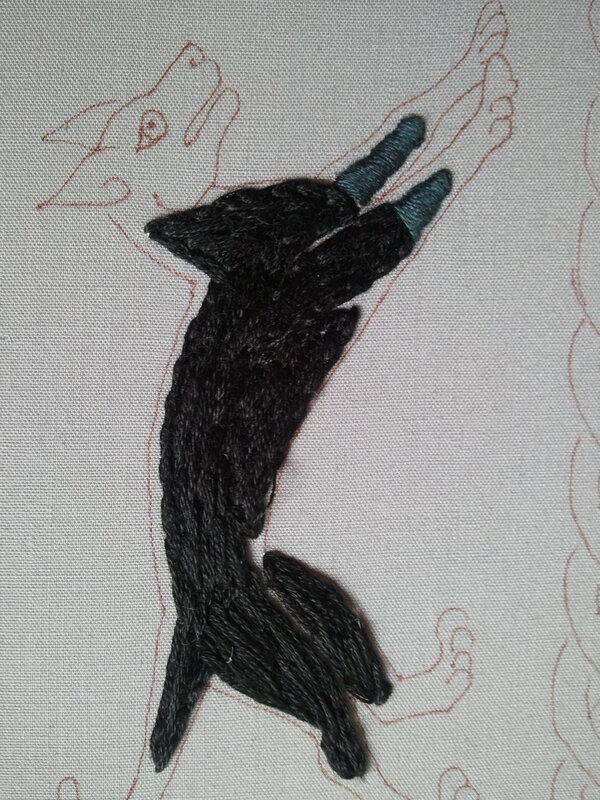 His face and legs are going to get split stitch as well, between the outline and the satin stitch.